An Australian university that aims to be carbon neutral by the end of 2030 has recently received an investment worth $9.1 million (£4.5m) to be more energy efficient, a news report has been able to find. The University of Melbourne will use the funding provided by the Clean Energy Finance Corporation (CEFC) to support a variety of projects that aim to help it reduce its energy bills and improve efficiency. They include implementation of innovative efficient and renewable energy technologies such as solar panels, voltage optimisation and micro-turbines. Paul McCartney, Executive Director at the CEFC said: “Australia’s 39 universities make a major contribution to the national economy and to the Australian community. Yet they face the ongoing challenges of public budget restraint, intensifying global competition and the need to use cutting edge technologies to meet increasing student expectations. 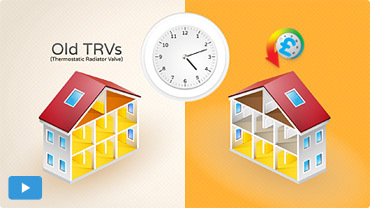 Beside the aforementioned energy measures, implementing a very effective energy management system will also likely contribute to achieving significant savings and that’s exactly where the HeatSave programmable wireless thermostatic valves can really come in handy.